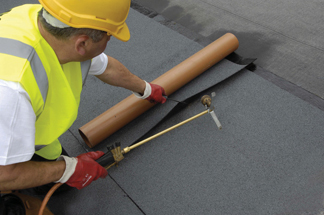 Exclusive to SIG Design & Technology, the SIGnature range is a torch-applied built up roofing system for flat and pitched roofs which is robust, tried and tested. Intended for both new work and overlay projects and offering different warranty packages dependent on the underlay option selected. The SIGnature range will ensure that you can tailor the system to your client’s requirements, and come in on budget. SIGnature is manufactured from bitumen membranes using polyester reinforcements with exceptional mechanical strength and dimensional stability. The reinforcements are impregnated and then coated with specially formulated SBS (Styrene Butadiene Styrene) modified bitumen or APP modified bitumen. A polyester carrier, reinforced, SBS, torch applied intermediate or base layer (dependent on specification). Using this underlay option will qualify for a 25-year warranty if used in conjunction with the SIGnature Fire Rated Cap Sheet. A glass tissue carrier, reinforced, SBS, torch applied intermediate or base layer (dependent on specification). Using this underlay option will qualify for a 20-year warranty if used in conjunction with the SIGnature Fire Rated Cap Sheet. 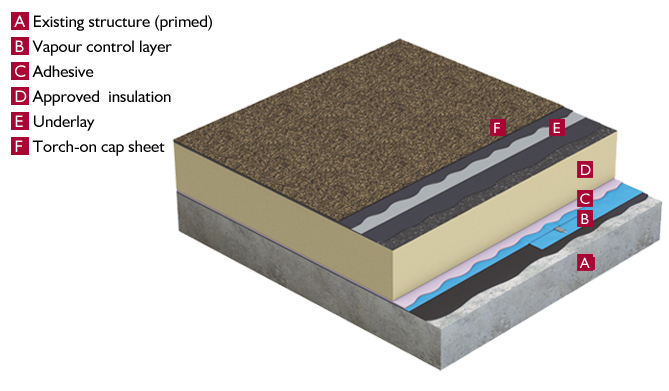 An elastomeric self-adhesive, polyester fabric reinforced underlay. Coated with SBS modified bitumen that has a smooth upper surface that forms an ideal surface for bonding subsequent cap sheets and has a release film backing. Using this underlay option will qualify for a 25-year warranty if used in conjunction with the SIGnature Fire Rated Cap Sheet. *Please note these underlays can be directly applied to a torch receivable Insulation Board only, without the requirement of a venting base layer. When using our SIGnature Torch on System we suggest following our application guidelines. 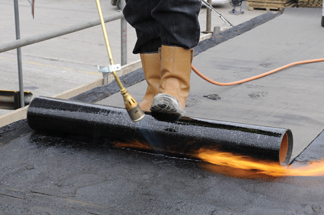 Wondering whether a bituminous torch-on system is suitable for your project?